Clinking China teacups, waiters pushing trolleys. Sky scrapper heels treading on polished marble floors belonging to fashionistas. A beautiful promenade filled with soft leather sofas and luxury furniture. There’s the balcony for eating the finest pastries and drinking afternoon tea. In built shopping arcade with extravagant goods. 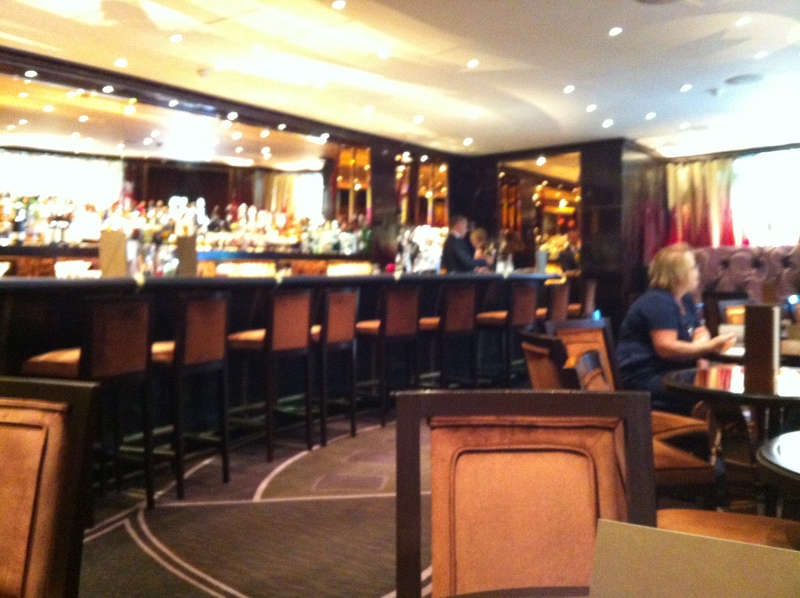 The Dorchester is one of the most iconic and elegant hotels you can get in London. Once again I was dealing with posh territory, I even turned up nicely dressed to blend in with the 5 star hotels. I had reservations at “The Dorchester bar”, it was one of those James Bond moments, as soon as you enter “Louis XIII D” bottles enclosed in glass cabinets. A Louis XIII D experience will set you for £2k. The long and curved bar, boast a rich palette of browns and purple interior. Everyone greeted and treated us like royals. Waiting for our commands. 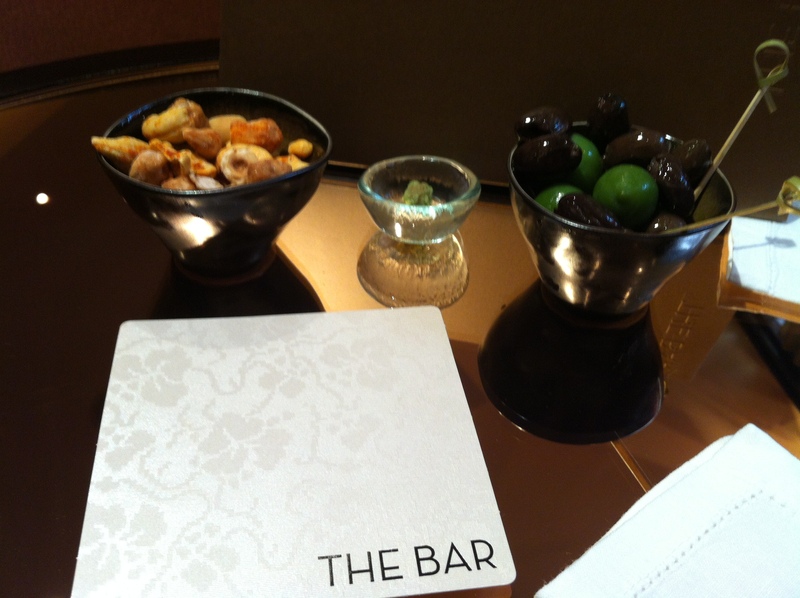 Complimentary olives & nuts were given as snacks. We got comfortable in the cushioned booth. I had made it my mission to try the wagyu beef. It all sounded appealing with the truffle mayo. 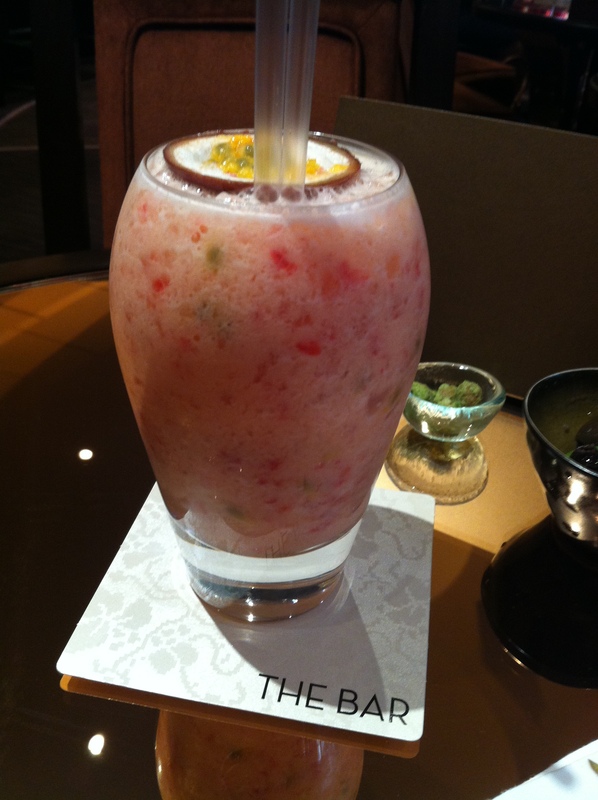 For drinks I decided on Passion and Raspberry Colada mocktail. A beautiful concoction of sweet berries kisses swirled in coconut milk and passion fruit. 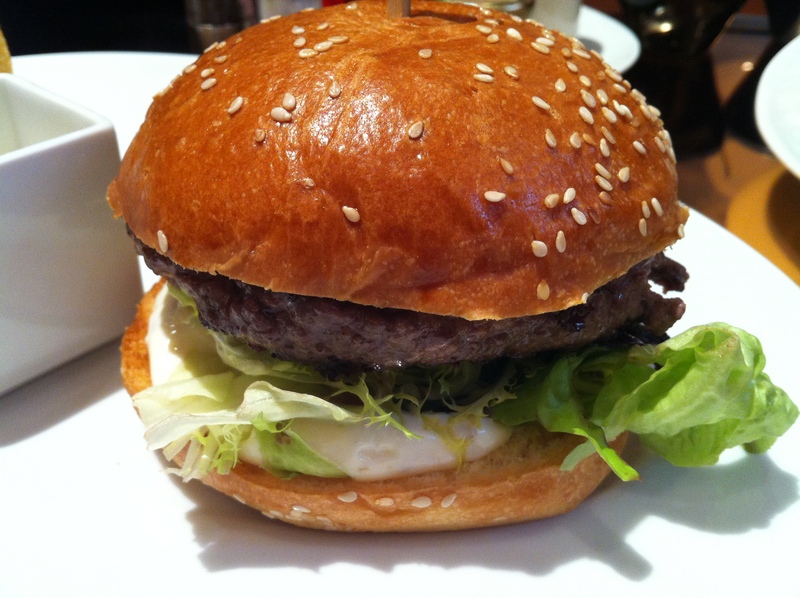 The wagyu beef burger came on a bright polished white plate, a bed of egg white mayo adhere the meat in between the bun and crisp bright green lettuce. When I eat burgers I like to cut the bun in two halves. Raw pink flesh meat oozed out between the soft pillow cushioned buns. Unfortunately taste wise it failed to deliver. 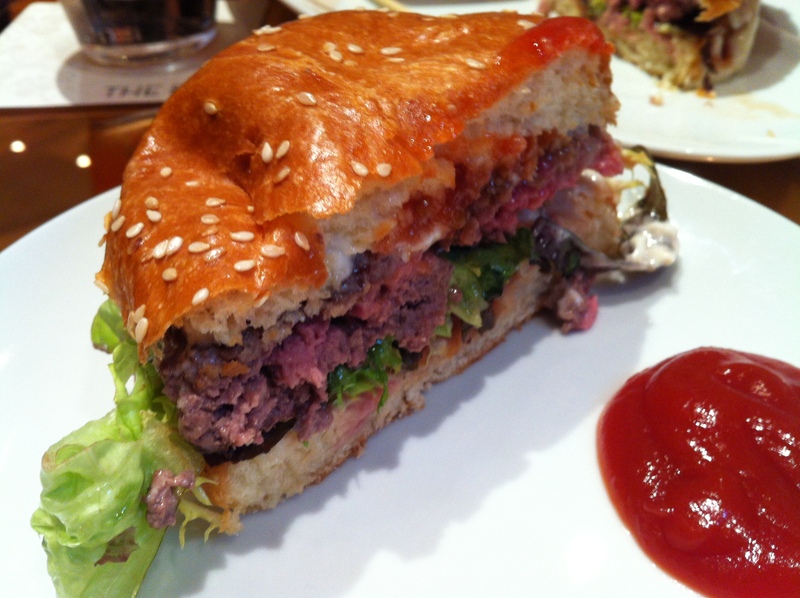 Was wagyu beef overhyped? In my mind I pictured a butter soft melting meat frolicking with my tongue. But no, it gave me none of that, no flavour, pieces of meat disassembled in my mouth. 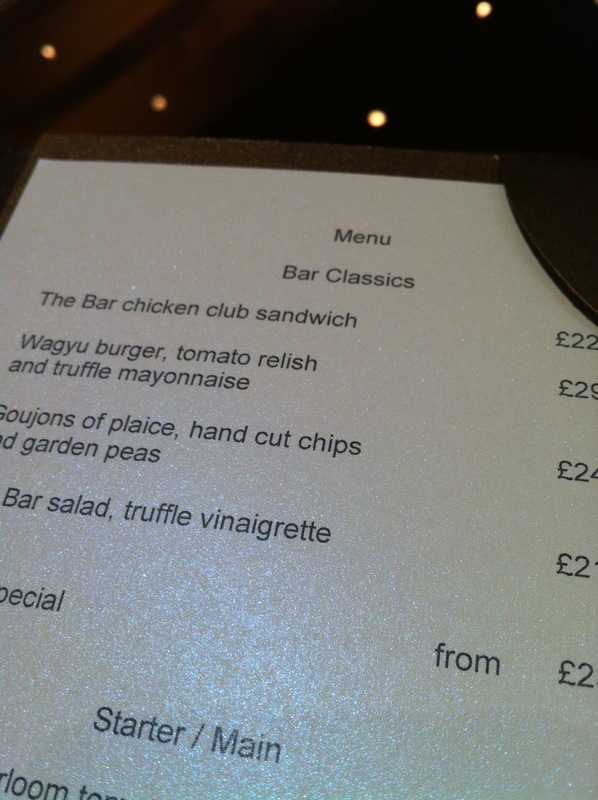 The truffle mayo was also a let down, it just tasted like standard mayo. However I have high praises for the chips, the golden sunny yellow large wedges of chips stacked nicely like planks of wood. Fried to perfection, it was very filling. My friend opted for a steak sandwich. 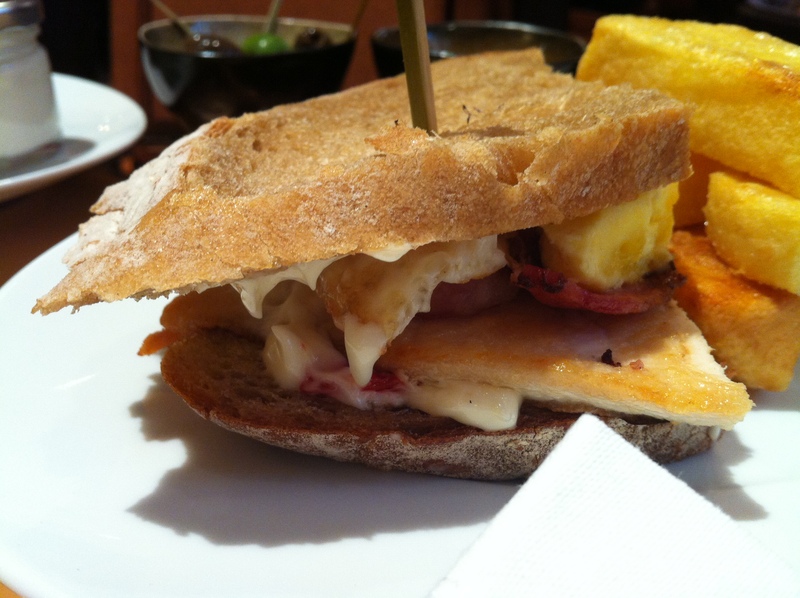 Crusty bread sandwich between layers of meat and a crispy fried egg smothered with lashings of mayo. We also shared a main from the grill menu between us. A mountain different selection of meat with valleys of mushrooms and deep green spinach leafs. Rich dark brown gravy poured on top of the mixed grill and greens. Never in my life have I had my vegetables over salted with my flavour then my meats. It was quite overpowering, eating the rosemary helped ever so slightly. The mixed grilled meat was tenderly cooked, and I ate it all. Lastly deserts, the custard vanilla tart floated on top of a pool of pinkish red jelly sauce with a scoop of blood orange sorbet. 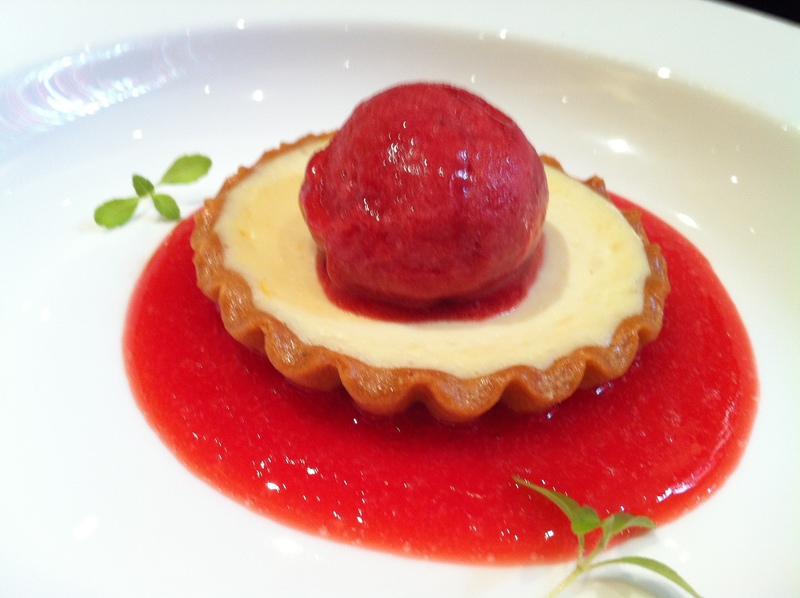 The tart crust had a delicate taste, it crumbled in my mouth, the pinkish red sauce, had sharp tangy notes. Overall the service and drinks was first class and gets a 5/5. However, the food was a bit of a hit and miss. Skip the bar food, order a side of the chips and go for the mixed grill if you really wanted food from the menu. 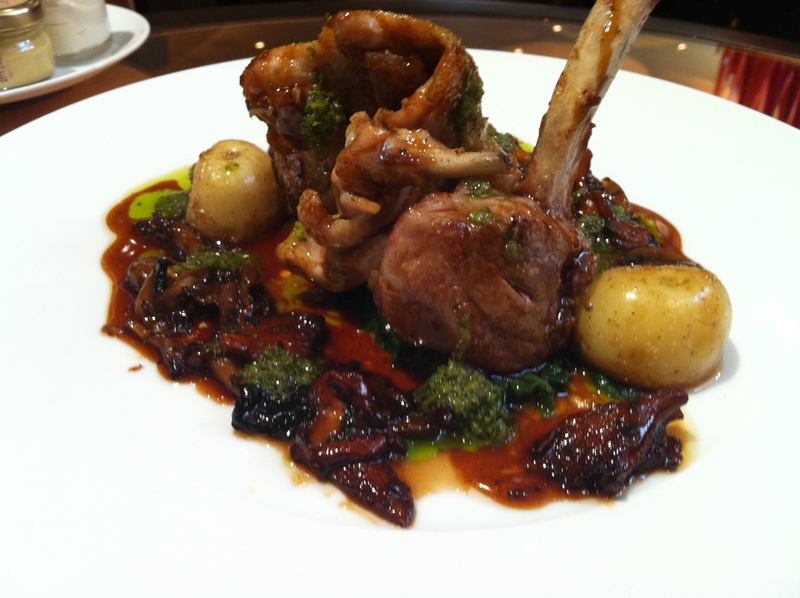 It’s not cheap eating at the Dorchester and my bill was way over £150 between two people. I shall return for the top notch cocktails for sure.